If you live anywhere near DFW you are certainly experiencing the effects of the recent freezing weather! WFAA’s weather forecast system is predicting the following areas will receive more snow, sleet and rain tonight with the low temperatures dipping below freezing, again! 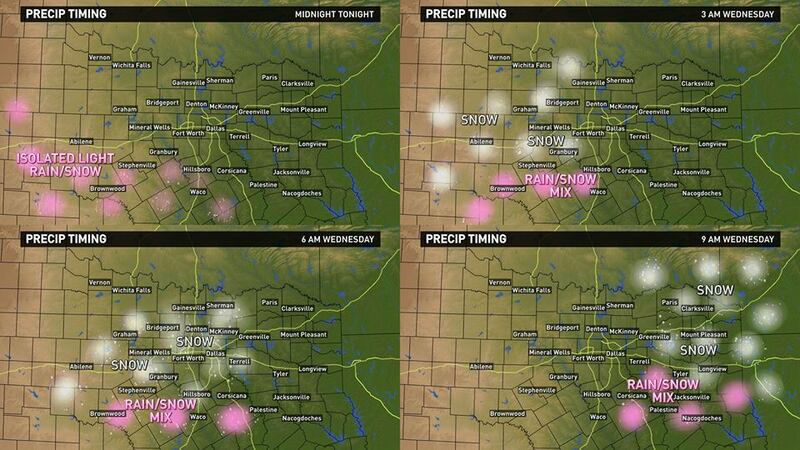 Freezing Weather Report by WFAA for the DFW Dallas Fort Worth area on Wednesday, February 25, 2015. Snow, Sleet and Freezing Temperatures. While the kiddos may be excited about another “Snow Day”, the adults of the house worry about things like freezing pipes! Here are a few tips to keep your plumbing in working order. 1. Disconnect all outdoor hoses. 2. Add covers to all outdoor spigots. 3. Allow all faucets to drip throughout the night. Open both the hot and cold stems. 4. Open cabinet doors to expose plumbing, especially in rooms facing the exterior walls of the home. 5. Wrap pipes near exterior walls with blankets or towels for extra insulation. 6. Keep the heat in your home above 65 degrees, even if you plan on leaving. 7. Check for drafts and seal off open areas. Even a temporary fix (example: towel under the door) can be a big help! 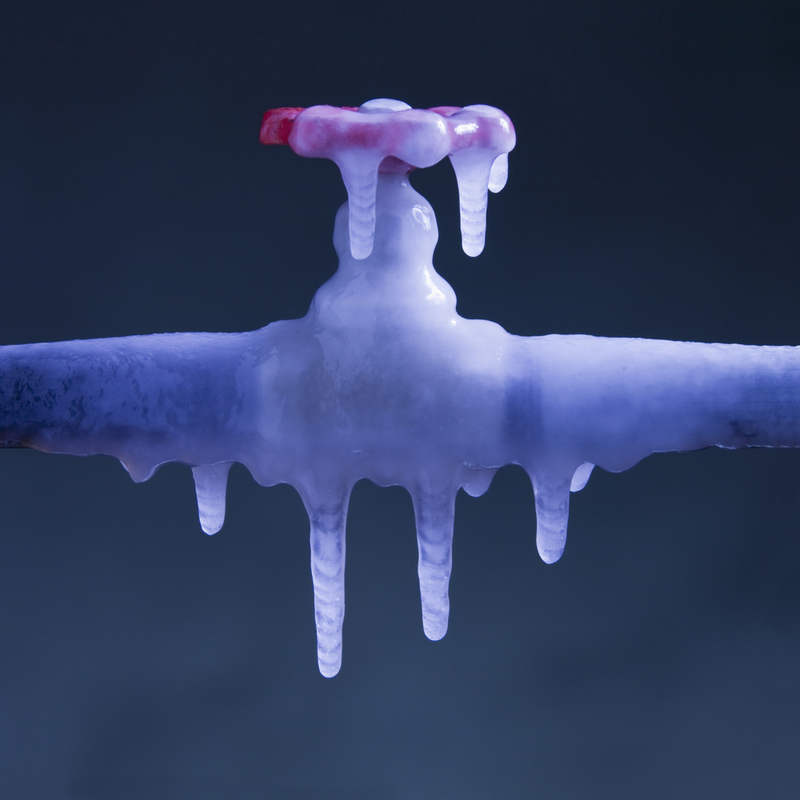 Tip and Tricks to help prevent frozen pipes brought to you by Dallas Plumbing Company and Kitchens and Baths Designer Showroom! Emergency Plumbing Tips to help you save time and money. This entry was posted in Plumbing and Heating Parts, Plumbing Services and tagged air conditioning, Bathroom, Baths, Cold, Dallas Plumbing Company, Denton, DFW, emergency, freeze, frozen, Garland, heat, Hot, HVAC, Kitchens, Kitchens and Baths Designer Showroom, orange and black trucks, pipes, Plano, Plumbing, preventative measures, prevention, Shower, tips and tricks, Tub by admin. Bookmark the permalink. THANK YOU DALLAS PLUMBING! Always our go to for plumbing and HVAC. Even my grandparents used y’all!.